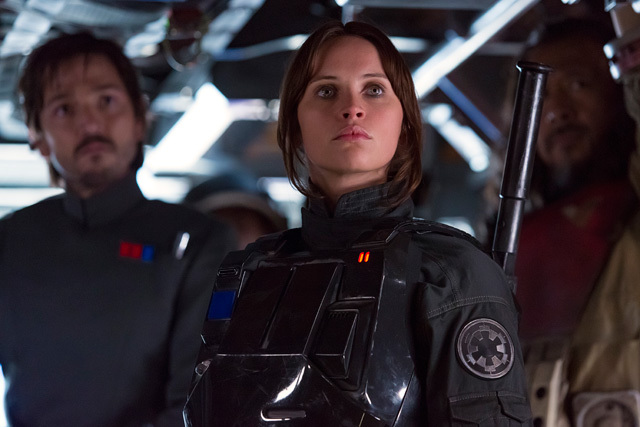 Rogue One: A Star Wars Story added $22.5 million domestically on Tuesday and $19.7 million internationally for yet another $42.2 million day at the global box office. This means the movie has now earned $340.6 million in North America and $275.3 million overseas, for a worldwide total of $615.9 million. After just 12 days of release, Rogue One has passed Suicide Squad ($325.1M) and Batman vs Superman ($330.4M) to become the #7 release of 2016 to date domestically.